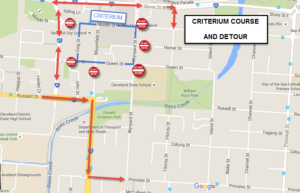 The Redlands Cycling Festival and Criterium Race are on in the Cleveland CBS on Saturday 27 May, with the Criterium running from 3:30PM – 9PM. NOTE: Racing is in an anti-clockwise direction. Posted in Cleveland, Events and tagged .